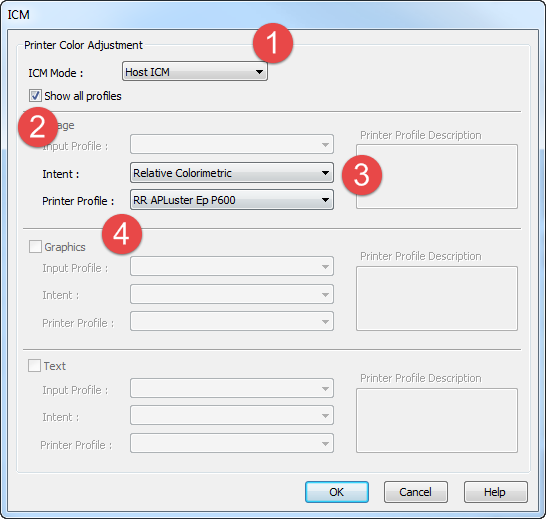 A guide to using ICC color printer profiles in GIMP with Canon, Epson, and HP inkjet printers. The process of using a printer profile in GIMP is not complex but it is also not intuitive. The output process is not front of mind for the developers. 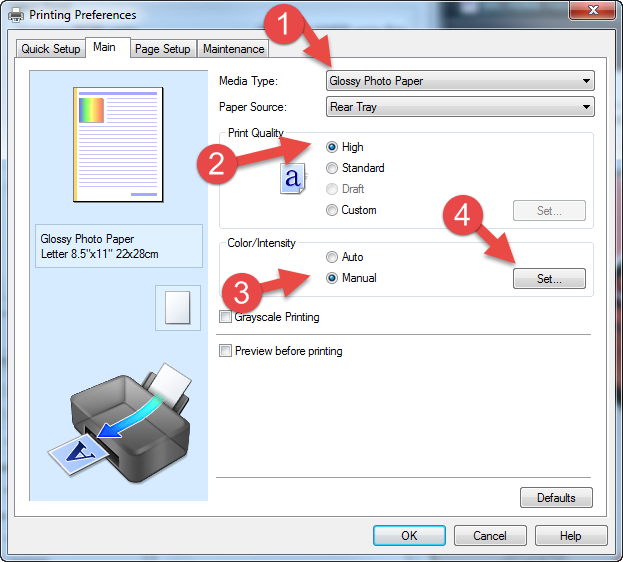 With most photo editors, printer profiles are designated in the print dialog with each print made. In GIMP, the printer profile is chosen as a global variable in the program's preferences. Below is a reference screengrab and recommended settings for each drop down. 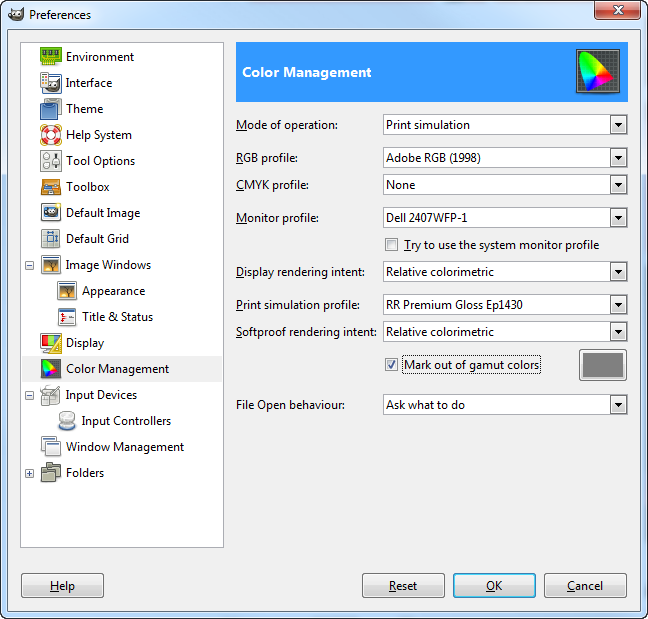 Apart from the Print Simulation Profile option, you only set the other options one time. 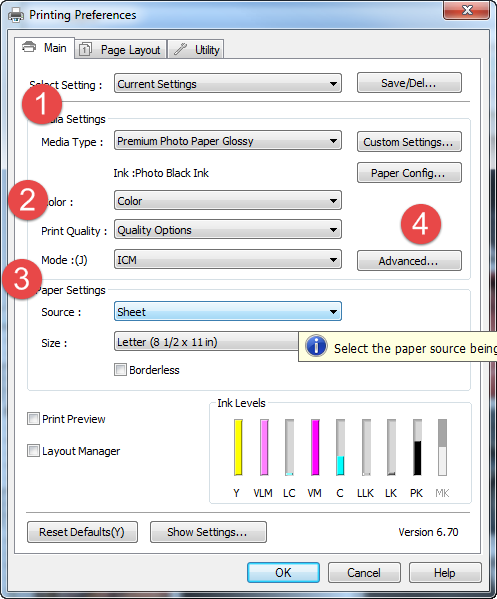 You will change the Print Simulation Profile only when you change papers or printer. Enter the preferences menu by choosing Edit > Preferences from the top menus. At any drop down menu where you choose a profile, you will be presented with the above dialog. Click on the "color" link as shown above. 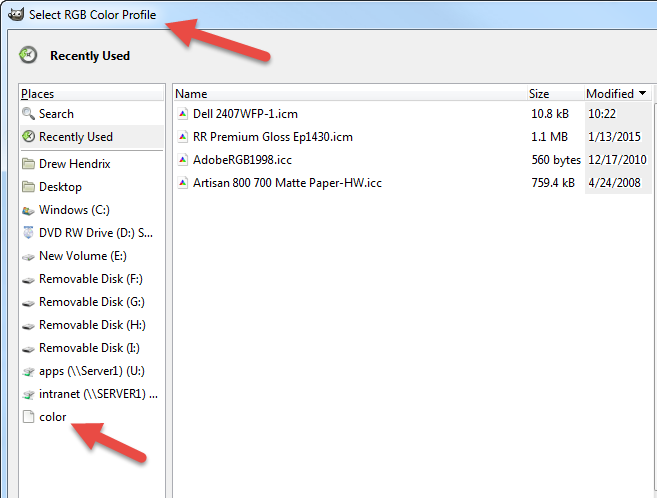 This accesses the Windows color profile library. Your profile, provided it has been installed, will appear in this listing. 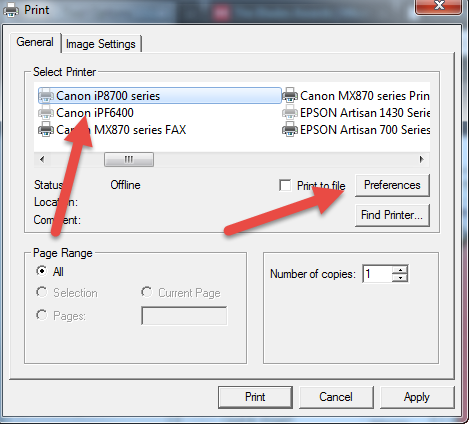 Highlight your printer then click the Preferences button which will launch the printer's driver. In the Manual Color Adjustment dialog, click on the Matching tab. Under Color Correction select ICM. For Input Profile choose Standard and Rendering Intent of Relative Colorimetric. 4. Choose the profile for the paper and printer you are using and click OK.
Back at the printer driver main screen click OK then click Print.